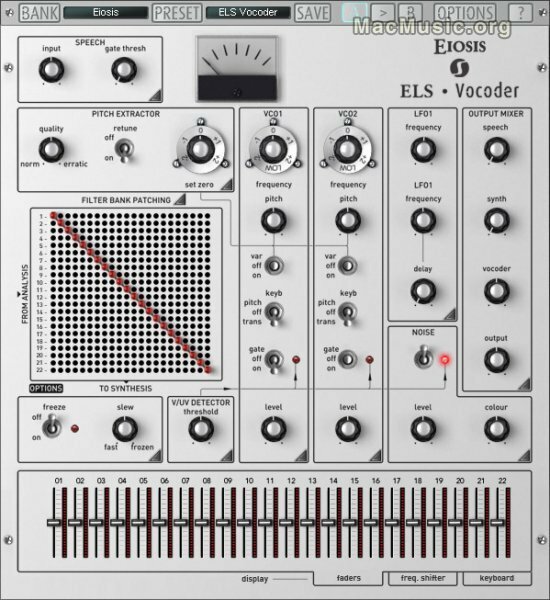 Eiosis has updated ELS Vocoder to v1.6. This new version brings a smaller interface option which allows using the ELS Vocoder with laptop screen resolutions more comfortably. You can now switch between both sizes with a simple option, and you need to reload the ELS Vocoder to apply the GUI settings. With the small interface size, you can access the same modules than with the normal size interface, by clicking on the corresponding tab. Of course this update is free for all registered users.